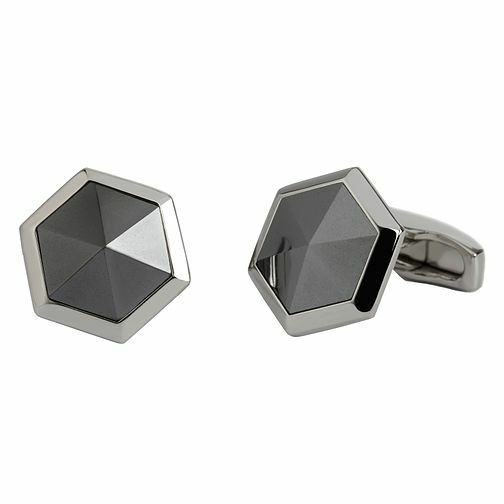 Sporting a distinctive hexagonal facet design, these steel tone Simon Carter cufflinks are set with a charcoal grey centre. Simple and contemporary, these cufflinks are the perfect accessory for achieving an effortlessly stylish finish. Classic gifts from Simon Carter.